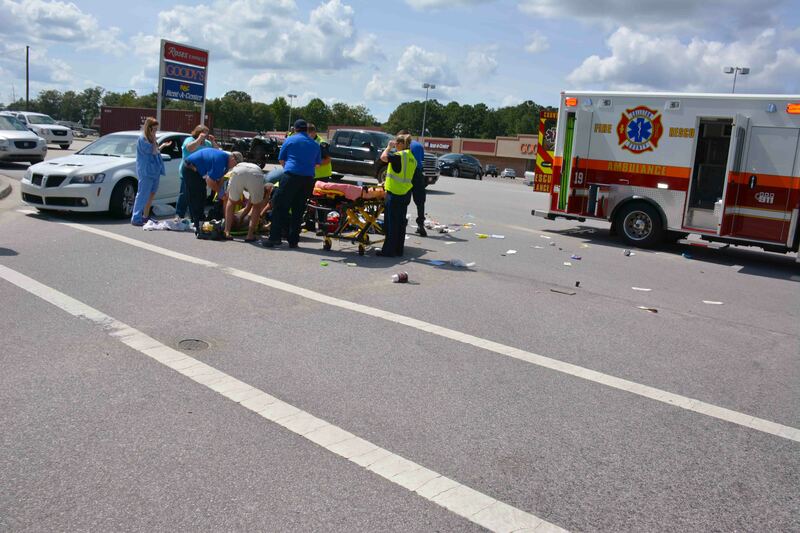 Edisto Beach units responded to a multi-patient MVC near 1706 Myrtle Street Friday afternoon 30-August at 16:34. Initial reports indicate a golf cart transporting two adults and a small child was struck broadside by a passenger car. 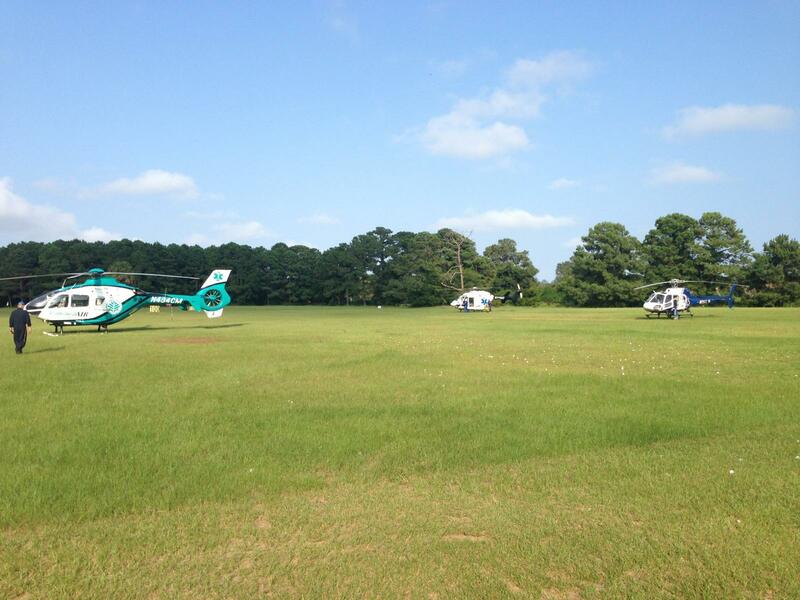 The golf cart overturned ejecting the three passengers. The driver of the car was not injured. Click here for more information. Firefighters were initially dispatched to a vehicle fire on Green Pond Highway at the railroad tracks Thursday morning 29-August at 10:49. 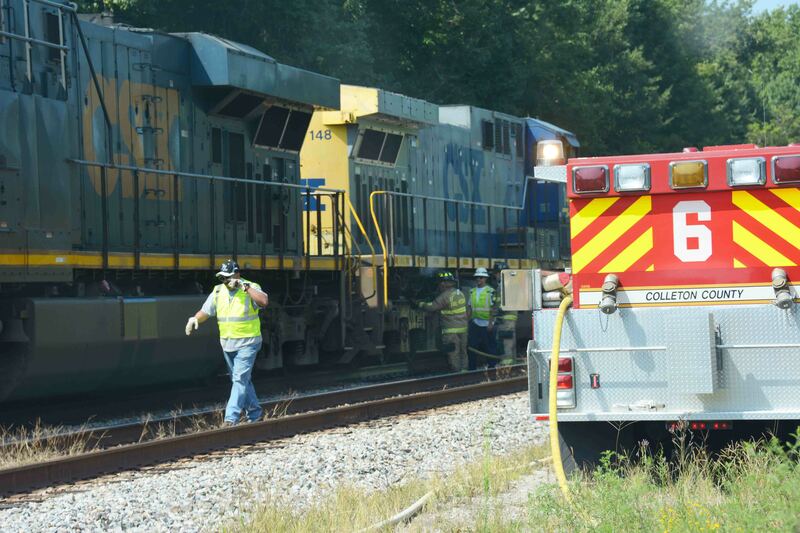 While enroute, units were advised the fire involved a CSX Locomotive near the intersection. Tender 6 and Medic 6 arrived to find smoke coming from under the second Engine of the freight train. Click here for more information. A team of four Colleton County Firefighters responded to Florence County as part of the SC Firefighter Mobilization Program. 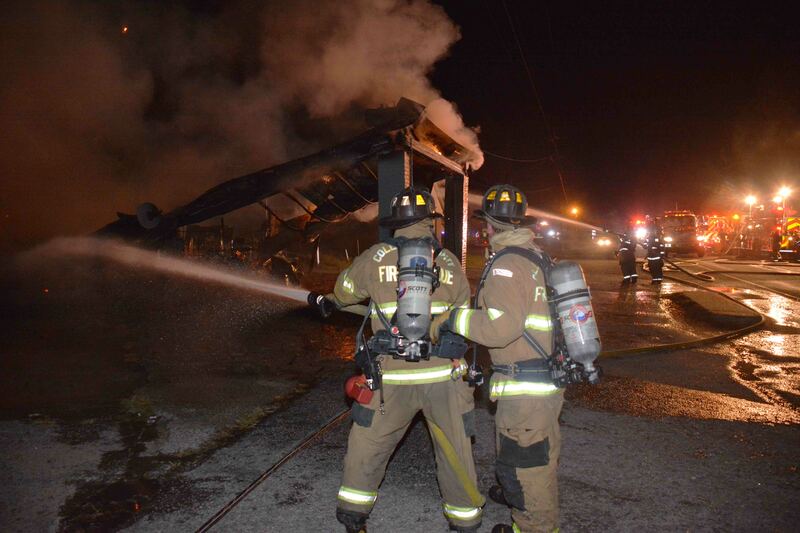 Florence County Firefighters responded to 6901 Dupont Drive, for a large fire at a former Dupont factory. As the incident entered the second day of operations, a request was made to the Firefighter Mobilization for additional personnel. Click here for more information. 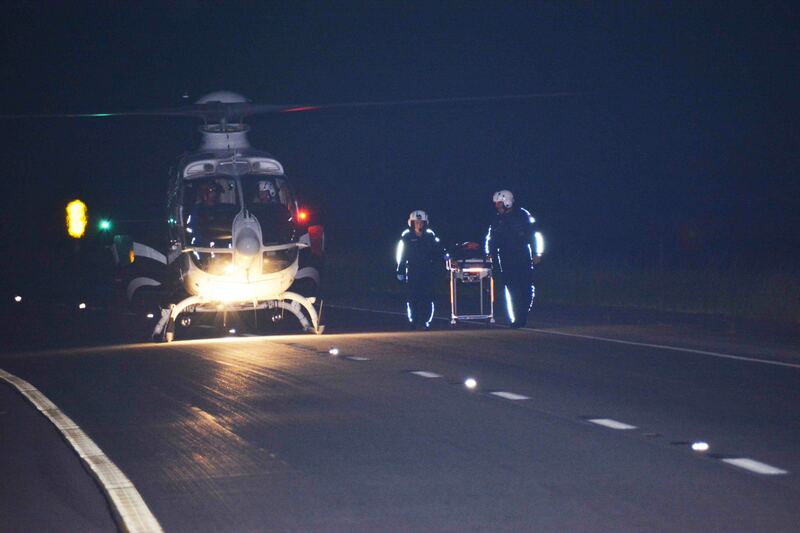 A single vehicle roll-over accident resulted in nine injuries Wednesday evening 21-August. 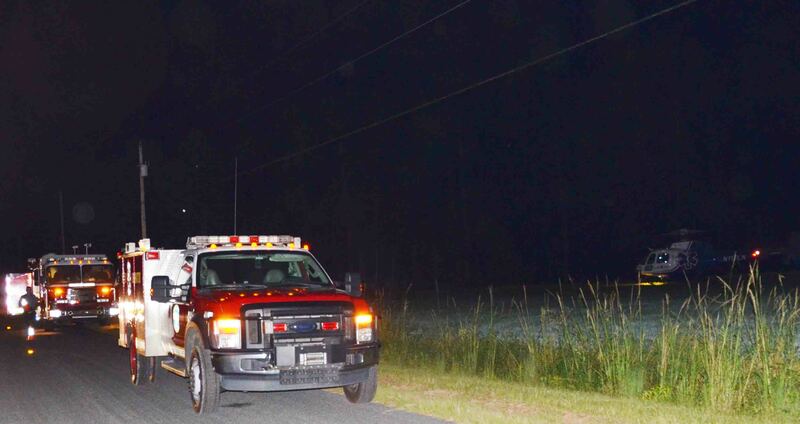 At 20:24, Dorchester County requested mutual aid with a fifteen passenger van the left the highway on Interstate 95. The van rolled down an embankment coming to rest on its roof. Click here for more information. 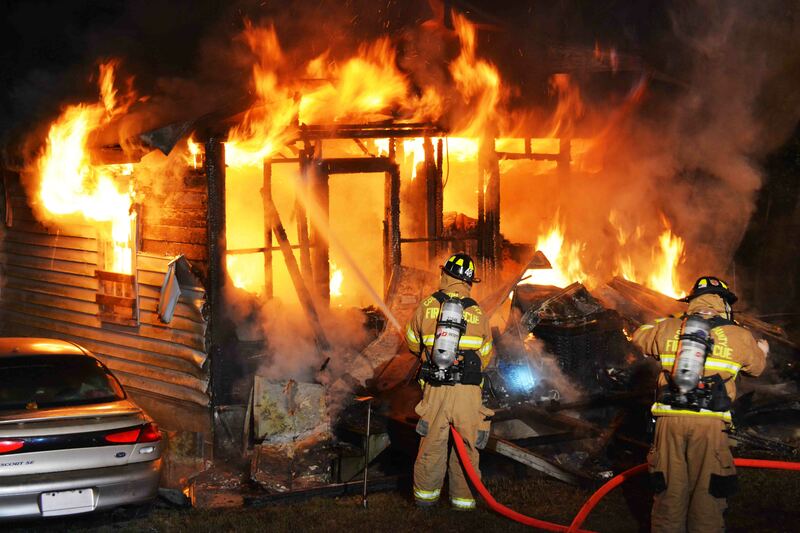 An early morning structure fire heavily damaged a home located at 1826 Wichman Street. The fire was reported at 03:02, Wednesday morning 21-August. Firefighters arrived to find the single story, wooden residential dwelling heavily involved. Engine 19 used it’s deck gun to knock down the flames, until crews deployed two 1-3/4 handlines to the building. Click here for more information. We are getting close to installing the new 800 MHz radios in the apparatus. Personnel from Palmetto 800 will train Fire-Rescue personnel on the operation of these radios in September. There will be five training sessions. 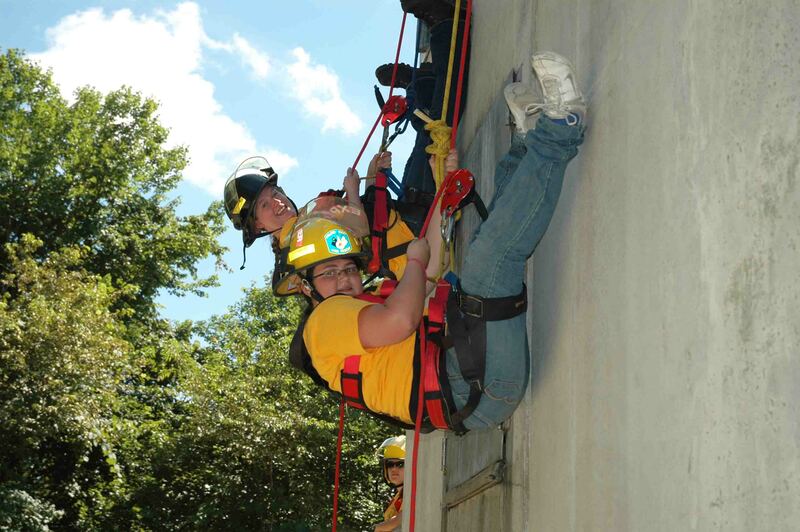 All training sessions will take place at Station # 19 and cover the same material. This new system operates very differently from the older VHF system we are currently using. All personnel will be issued a portable radio which will replace existing equipment and pagers. Everyone needs to attend at least one of the classes. Wednesday, September 4th – Two classes will be conducted. The morning class will be held at 09:00. The evening class will be held at 18:00. Thursday, September 5th – Two classes will be conducted. The morning class will be held at 09:00. The evening class will be held at 18:00. An adult female was transported to the hospital following a police chase that ended after the woman’s car collided with a tractor trailer. The incident began at the BP Gas Station at 1404 Sniders Highway. Law Enforcement had requested Firefighter-Paramedics respond to evaluate a woman. When Medic 1 arrived, Walterboro Public Safety Officers were involved in a confrontation with the woman. Click here for more information. 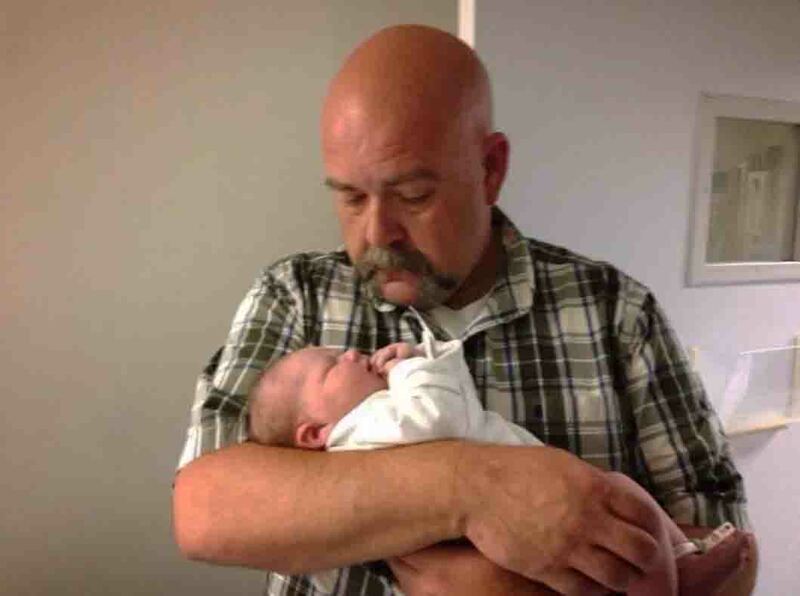 We wish to congratulate new Grand Pa Brian Rowe on the birth of his first granddaughter, McKenzie Layla who was born Friday 16-August at 10:12. McKenzie weighed 8 pounds, 13 ounces and was 20-1/4 inches long. She and Alex are doing fine. There will be a called Fire-Rescue Commission Meeting held at Headquarters 113 Mable T. Willis Blvd, Wednesday 21-August beginning at 18:00. 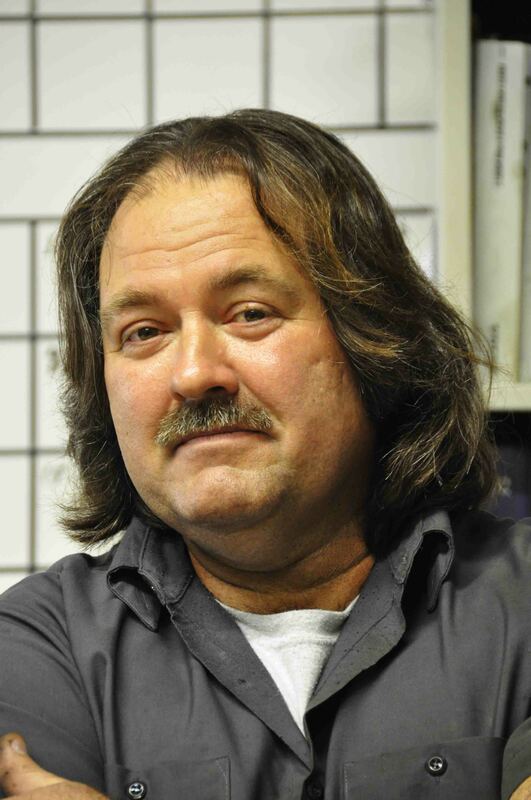 It is with great sadness that we report the passing of Fire-Rescue mechanic Jeff Howell. Jeff has been battling cancer for nearly a year. He was a very special person who took pride in his work and devoted many extra hours to maintaining our fleet. A Master Fabricator and welder, the products of his talents can be seen on every fire truck and ambulance in this county. He was a committed husband, father, drummer and friend. Please remember Sandra and Jeremiah in your prayers. Jeff is in a better place and will be truly missed. Visitation will be held at Herndon Funeral Home’s Walterboro Facility located at 1193 Bells Hwy., Sunday 18-August between 17:00 and 20:00. Funeral services will be held at the Herndon Funeral Home Chapel on Monday afternoon at 16:30. Burial will take place at Great Swamp Baptist Church Cemetery on Great Swamp Road off of Hendersonville Highway following the service. 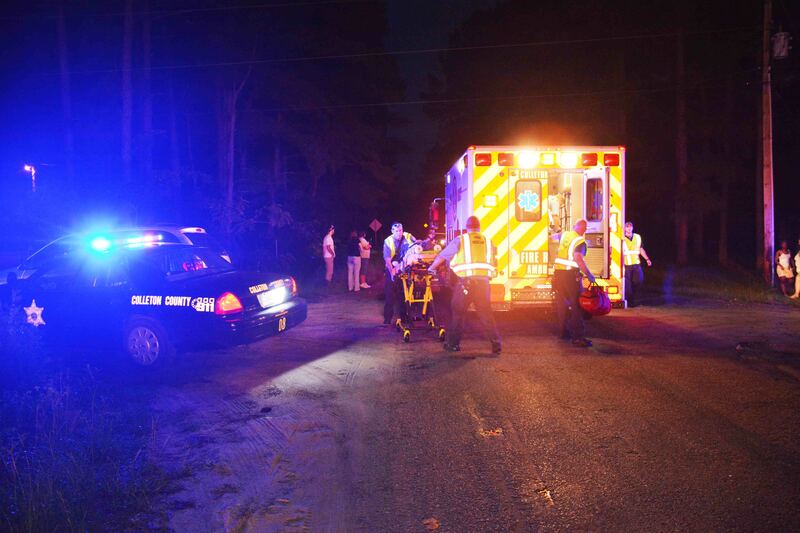 A 53 year old Walterboro woman was critically injured in a moped accident Wednesday evening, 14-August. The accident was reported at 20:18 at the intersection of Foxfield Road and Fourth Street, after the woman lost control of the moped she was driving. Click here for more information. 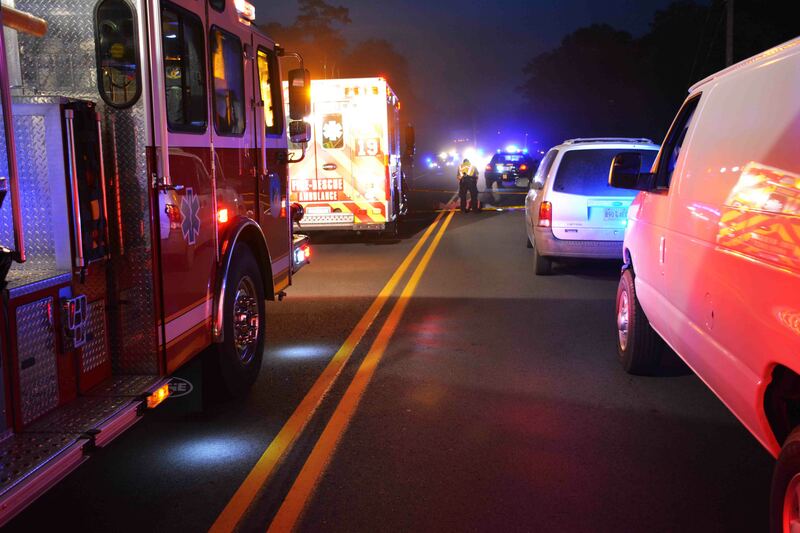 A 41 year old Walterboro man was killed after being struck by a car in the 3000 block of Cottageville Highway (US Hwy 17-A) Saturday morning 10-August. The incident was reported at 04:30. 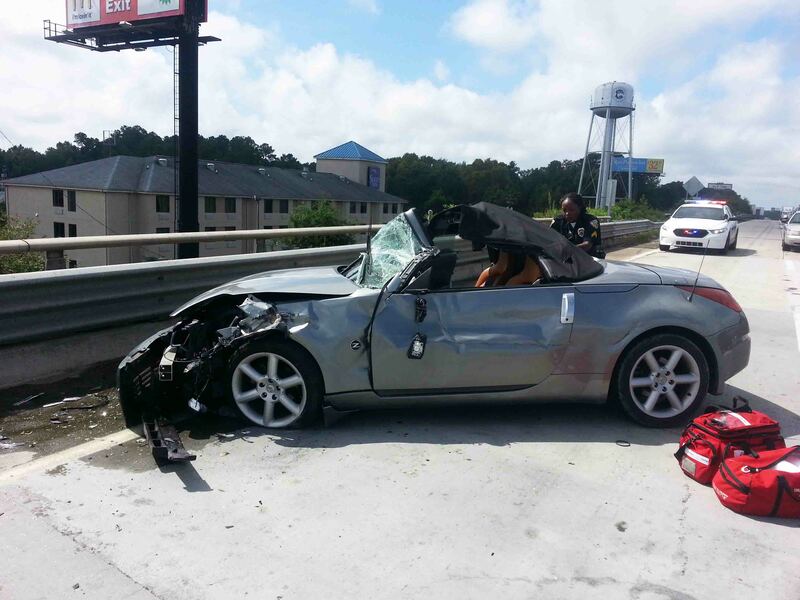 Witness statements vary about the circumstances surrounding the man being in the roadway. There are no street lights on the rural section of road. Click here for more information. A 71 year old Walterboro man received critical injuries after the moped he was riding collided with a car on Robertson Blvd at Spruce Street. The accident occurred at 15:32 on Friday afternoon 09-August. The man who was not wearing a helmet was found unconscious, face down in the roadway. Click here for additional information. 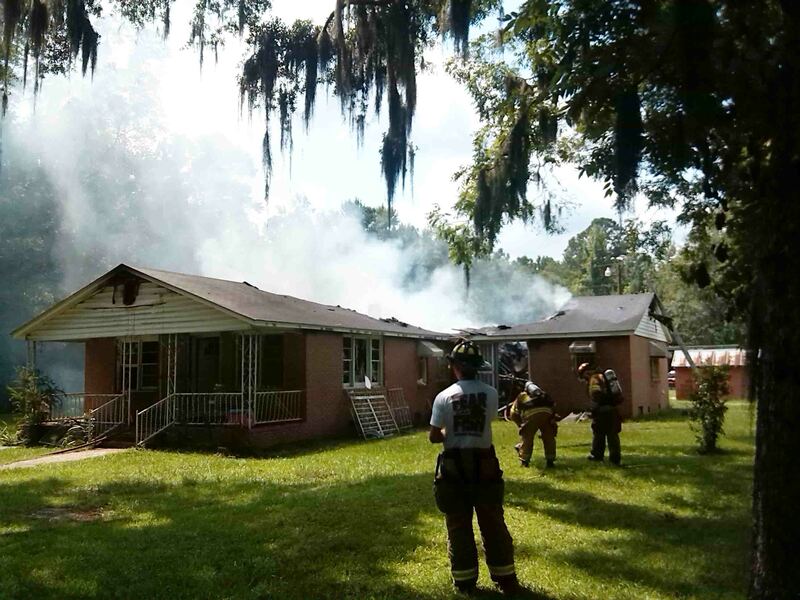 A residential structure was heavily damage in an midafternoon fire Thursday 08-August. At 12:34 Fire-Rescue was notified of a kitchen fire at 336 Bish Lane in the Catholic Hill Community. While units were responding, a second 9-1-1 call reported the fire was in the attic. Engine 8 arrived on the narrow single lane dirt road, to find heavy flames burning through the roof of the single story block structure. All occupants had safely exited the building. Click here for more information. 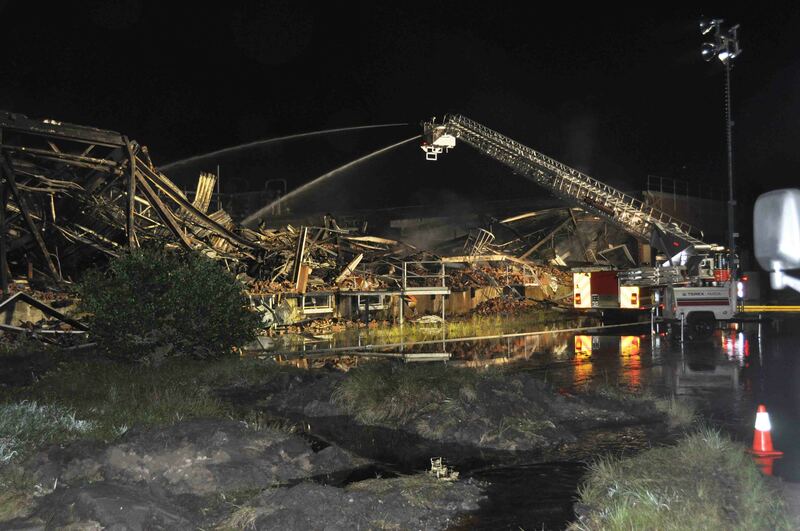 The old country store, most recently called WillMart for the past three decades, was destroyed by an early morning fire Thursday 08-August. The building, which was originally constructed at the corner of Hendersonville Highway and Jonesville Ave, was built in the early 1930’s by the Thomas Family who operated the general store. Click here for additional information. We wish to offer condolences to Firefighter-Paramedic Steven Bellew and his family. Steven’s Grandmother Vivian Bellew passed away Wednesday. Funeral services will be held Friday 9-August at Carolina Memorial, 7113 Rivers Avenue, North Charleston. Please remember them in your prayers. An adult male suffered a medical emergency at a residence on Katie Bridge Road 05-Augusut at 20:15. Medic 1 arrived minutes later but was unable to access the residence due to the poor road conditions. Recent heavy rains have made many county roads impassable. Click here for more information. 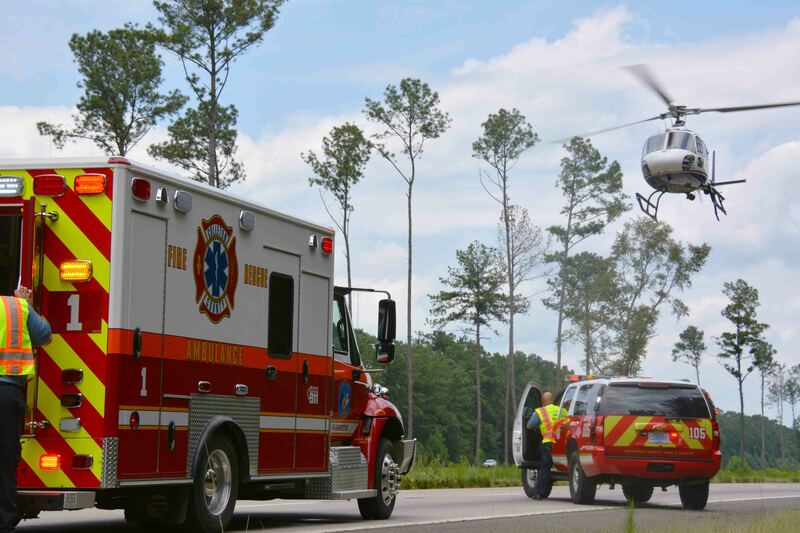 A high speed single vehicle MVC blocked the northbound lanes of I-95 and sent two people to the hospital Monday afternoon, 05-August. The accident was reported at 13:38 after the small SUV drove into the median, over-corrected and flipped over at least eight times near the 51 mile marker. The car caught fire following the crash with the passenger still inside. Click here for more information. 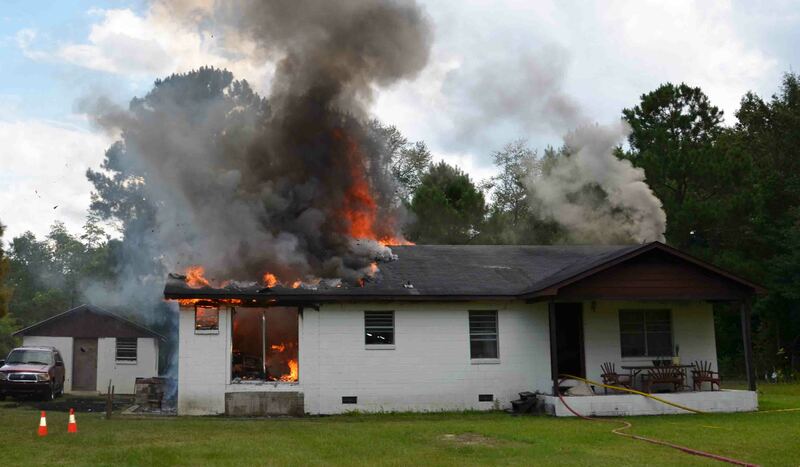 Stations 15 and 23 responded as mutual aid to Hampton County Fire-Rescue for a well involved structure fire at 1309 Horseshoe Road Saturday morning 03-August at 11:14. The large single family brick veneer residential dwelling was fully involved. Firefighters from both agencies used three 1-3/4 handlines to combat the fire. Click here for more information. 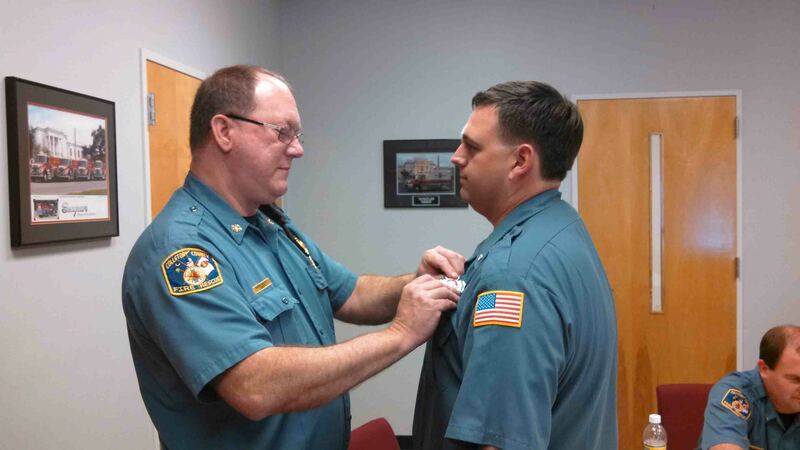 We congratulate Firefighter II – Paramedic Roger Johnston on his promotion to Engineer. Johnston successfully completed the Engineer Examination the last week of July. It takes many years of dedicated training and study to meet the qualifications of the Engineer position. Click here for additional information.